When start-up G Jeremy Lin when down with a torn meniscus, the Knicks have not had a true-healthy point guard on the floor every night since and still have managed to go 13-4 in their 17 games played under interim coach Mike Woodson. What’s more impressive is that they haven’t lost a home game under Woodson, and are now 9-0 at Madison Square Garden. They have beaten some pretty good teams during that stretch which began with a 42 point blowout of the Portland Trailblazers in Woodson’s first game as head coach back on March 14th. They beat the Pacers (twice), the Magic (twice), the Bucks (twice), and had single wins over the 76ers and the Bulls. Their top 10 defense, spearheaded by NBA Defensive Player of the Year candidate, Tyson Chandler, has led the way during this stretch of games. Speaking of Chandler, he’s only missed 2 games all season and in those two, both losses, the Knicks gave up 118 and 119 points respectively. When Chandler’s on the floor they give up an average of 94.6 points. Come playoff time, the Knicks are expecting Amare Stoudamire to return and Jeremy Lin might join them probably during the first round.. Some key games still remaining in the regular season are ones against the Heat, Celtics and Clippers, all at home, and the Hawks on the road. If the season were to end today, the Knicks currently with the 7th seed, would face the Heat in the first round, a team they will play on Sunday, who is 4-4 in the month of April. 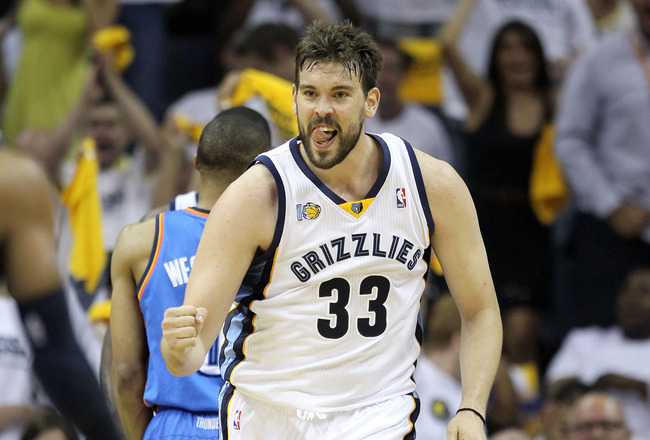 Not many teams have been as hot as the Grizzlies over the past several weeks. In their last 12 games, they have gone 9-3 but have beaten some of the best of the best in the NBA. They have had wins over the Lakers, Bucks, Thunder, Mavs (twice), Heat, and the Clippers. 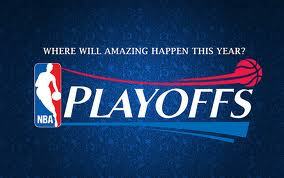 They are currently 7.5 games behind the first place San Antonio Spurs but have little hope of catching them. Mark Gasol and Rudy Gay have been lighting it up, and with a supporting cast that includes Zach Randolph, Mike Conley and even inconsistent Marreese Speights, they have all the firepower needed to make a deep playoff run. Like the Knicks, the Grizzlies also have a home winning streak going, currently at 7 in a row. They have seven games left this season and four of them are at home. Memphis had two very impressive wins last week. One against the Thunder where they won by 6 followed by a 15 point win over the Heat; both games on the road. Currently the Grizzlies have the 5th seed and if the season were to end today, they would face the L.A. Clippers who they just beat by 9 on Monday. Either of these two teams, the Knicks or the Grizzlies, could certainly win in the first round of the playoffs and possibly beyond. What teams would you consider ‘dangerous’ to face in the playoffs? ← Is Bud Selig that much different than Ozzie Guillen? Lost to the Heat today :( but still in good shape. Even though the Knicks aren’t a great team recordwise, they have Carmelo, Stoudamire, Chandler and a great bench. I agree with you that they can make some noise. Mavs fan from Dallas here. Cuban’s an idiot for letting Chandler walk. You don’t blow up a world champion team for a shot at free agents a year from now (then). 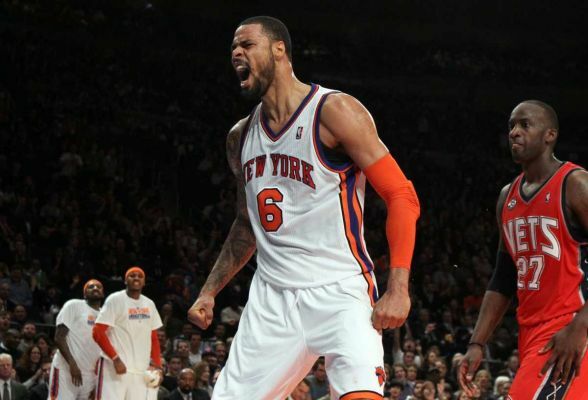 Tyson Chandler is only going to be more valuable in the defense-first playoffs. The Heat-Knicks would be an intriguing first-round series. Maybe Heats vs Knicks can get back to being the rivalry it used to be. The Celtics may be the most dangerous team in the Eastern Conference. They still have the Big 3, and Rajon Rondo is playing the best basketball of his career. They have found an emerging young star in guard Avery Bradley, to go along with their older ones. And people have been writing them off, so add in a little angst to their motivation to win. You’re absolutely right. They have been coming on since the All Star break and Bradley has provided them with a huge spark. And Brendan Bass has been steady most of the season. I guess they would be considered another ‘dangerous’ team as well. No question. Need to get a healthy Amare back and maybe have him come off the bench…I would feel better about their chances against anyone if they had a facilitator on the floor other than Baron or Bibby, but agree facing the Bulls would be a better matchup than the Heat. Nobody is scared of the Knicks. They’ll beat themselves.